Beauty is in the eye of the beholder. It&apos;s a simple lesson learned from spending time around boats and dedicated owners who sometimes speak of their vessel with the same deference as a famous work of art. And if boats can be art, why can&apos;t art depict these boats in an image these dedicated owners would want to hang on their walls? This is the central question that Will Sofrin of Newport, R.I., tries to answer with his custom print service that leverages a passion for boats and a talent for hand drafting. From the humble Pearson Ensign to yachts designed for the rich and famous by Nathanael G. Herreshoff, Sofrin now covers an ever-increasing range of vessels. 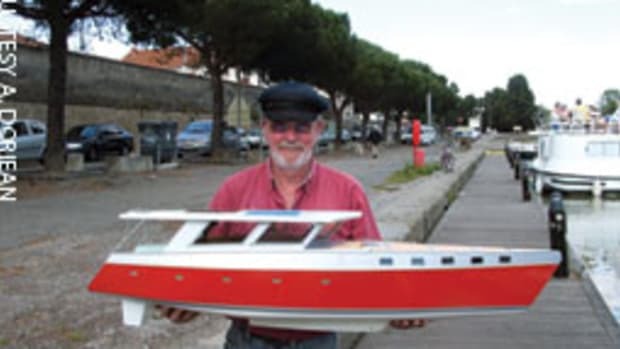 "It can be anything you want," he says, "a surprise by the first mate for the captain, a heartfelt gift for the skipper who already has everything, an awards trophy for a fleet championship, a sales tool for yacht designers or a prize to help with fundraising." 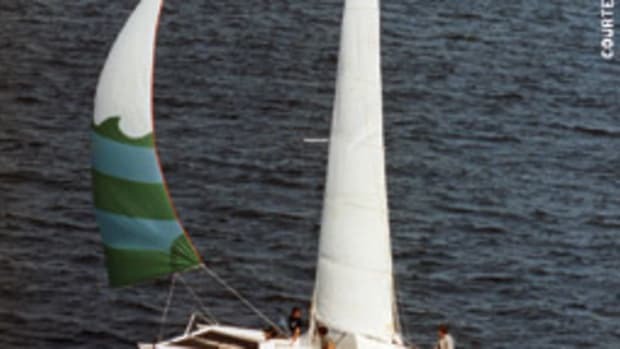 Sofrin spent many years sailing boats of many kinds across many oceans. He returned to terra firma about a decade ago and enrolled in the International Yacht Restoration School to deepen his knowledge of yacht renovation and design and, as he puts it, "to find a way to transition to a land-based existence." As an intern at the MIT Museum&apos;s Hart Nautical Collection, Sofrin met curator Kurt Hasselbalch, who, among others, oversees the approximately 14,000 pieces of the Haffenreffer-Herreshoff collection, which was donated to the museum in 1961 by the Haffenreffer family. Rudolf F. Haffenreffer, an industrialist, took over the Herreshoff Manufacturing Company in 1924 and ran it successfully until it ceased operation after World War II. However extensive that collection might be, it contains practically no line drawings, because Herreshoff was in the habit of shaping precise wooden half models and used a custom offset machine to measure the coordinates that he noted in a booklet that became the base for the construction drawings. Sofrin saw an opportunity to fill this gap and found a willing enabler in Hasselbalch. "We try to provide the public with access to our collections," says Hasselbalch. "Our donors encouraged the development of policies for people who want to study these plans, use them for a restoration, to build a model or a replica. If the use goes beyond that, we require a proposal." It took about three years to get prepared and approved. 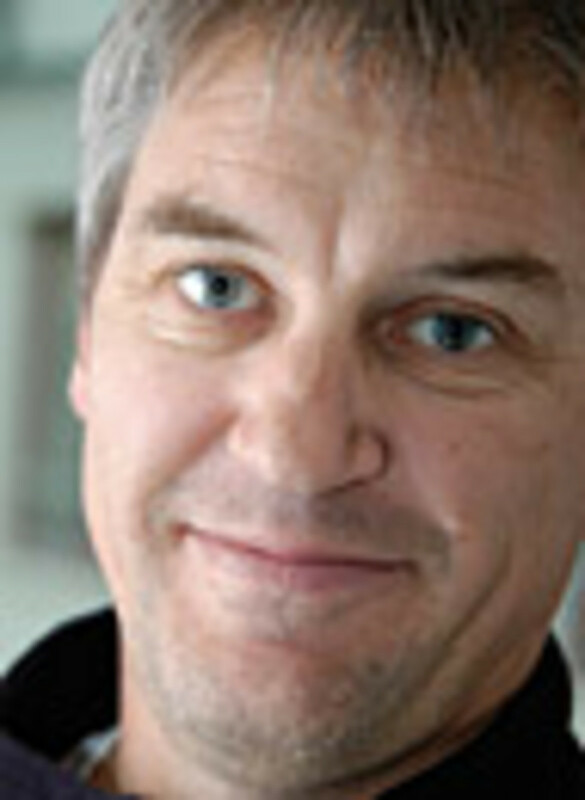 "I had to show proof of ability and created prototypes before I received a limited license for my project. I also pay royalties that benefit the museum and donate the original of my drawings to the collection," Sofrin says. The process for creating a Herreshoff print is quite involved. 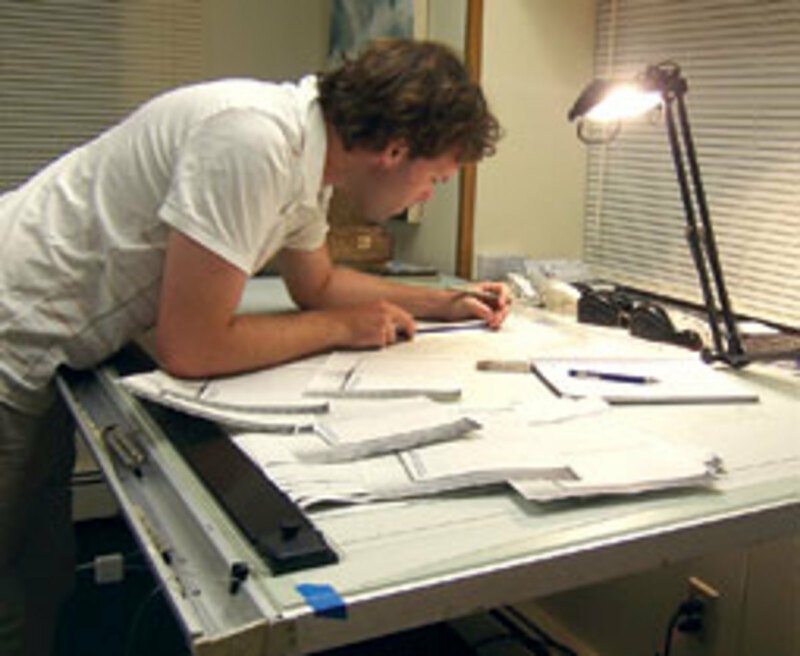 It requires study of the offset numbers on microfilm and a design review to determine scale and proportions. Next, Sofrin fashions a detailed draft by transferring the points from the offset book onto a grid and consults construction plans to obtain more technical information if needed. "At this point I evaluate the composition and decide what to include," Sofrin explains. "When I do the final drawing, I remove the grid and the extraneous details for aesthetics and protection of design." All of his drawings are first developed by hand on Mylar film before they get digitized on a high-end scanner at the Hart Nautical Collection. This yields a large graphics file that Sofrin modifies. "It&apos;s very similar to editing a digital photograph," he explains. "I don&apos;t redraw the lines, but optimized color and contrast and add the details on a customized print." The final products is made by a high-quality inkjet printer that transfers the digital image to cotton-rag museum-grade acid-free stock. 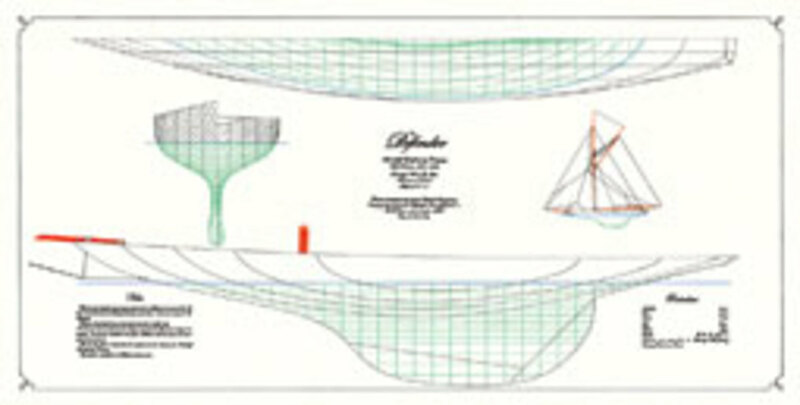 The drawings of the America&apos;s Cup vessels Vigilant, Defender and Reliance are of identical scale and up to 36-by-64 inches in size , so viewers can compare their proportions side by side. 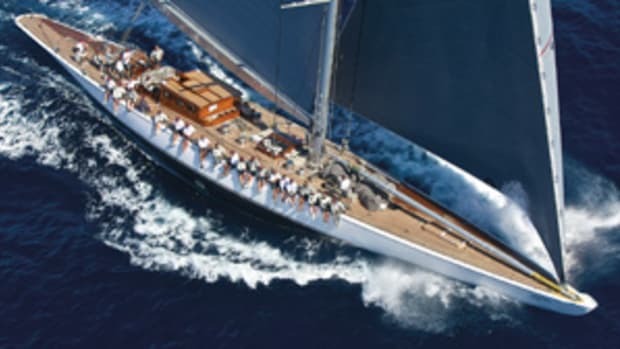 Sofrin also offers the New York 30 and New York 40 classes, Weetamoe, a J-Class that was designed by Clinton Crane and Nellie, a recently restored 60-foot gaff sloop. He plans to add the two-time defender Columbia, the New York 50 and 70, some steamers and the schooners Westward and Mariette. 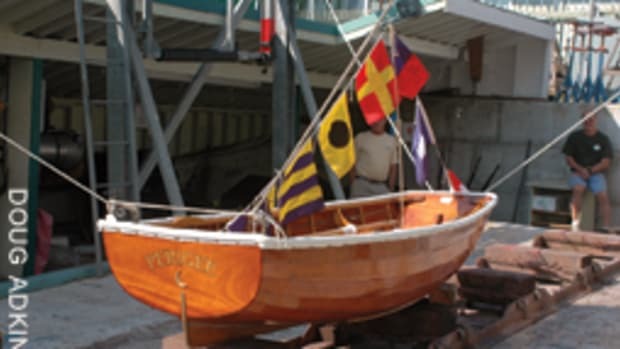 Sofrin and the Herreshoff Marine Museum in Bristol, R.I., are talking about offering his Herreshof prints, the museum&apos;s new CEO, Dyer Jones, a former New York Yacht Club commodore and an America&apos;s Cup official, wrote in an e-mail. Sofrin says he structured his business so he could produce drawings of any boat, as long as he can access the necessary design information. 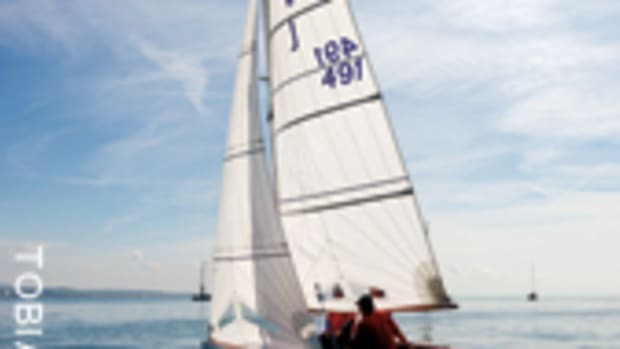 His idea has proven to be quite popular with more contemporary designs like the J/24 or the Pearson Ensign, which have embraced Sofrin&apos;s drawings that are highly customized to owner&apos;s specifications, including colors, boat name and sail number. Since modern boats are usually well documented, Sofrin can streamline the production process, which reduces turnaround times and prices. On average, he can deliver a drawing of a production boat like the J/24 in five to six working days, Sofrin says. A standard 18-by-24-inch drawing starts at $110 and goes up to $350 fully customized and framed with 3-inch matting. Among his first customers was the local Newport J/24 fleet, which ordered a drawing for their annual awards. The idea to expand his service to the mainstream market evolved from a drawing Sofrin wanted to do for his step-dad, who owns an Ensign. For this job, he needed help from class secretary Bill Murphey. "I did the measuring and he did the drawings," quips Murphey, who also is the archivist of the class news and photo library. "Will and I started talking, because we had been wanting to do a class poster." As a result, Sofrin now has a licensing agreement since the Ensign class has acquired the design and trademark of the boat from its now-defunct builder Pearson Composites. Whether it&apos;s one of the Herreshoff&apos;s legendary America&apos;s Cup vessels, a custom-built megayacht or a popular 20th century fiberglass production boat, Sofrin&apos;s drawings make sailing buffs smile. 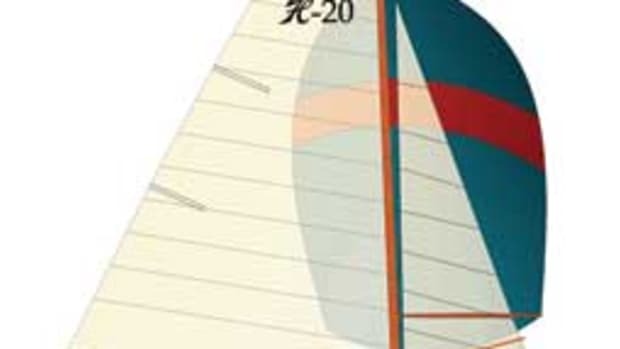 That&apos;s because there&apos;s nothing like a flattering depiction of a sailboat that you can hang on your wall. 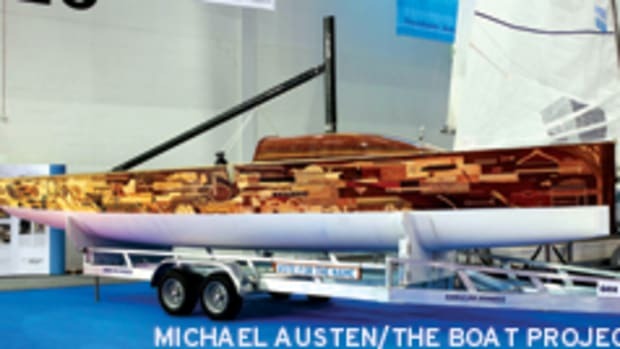 It&apos;s a sop to owners who might fancy their vessel a work of art. And it&apos;s a nod to beauty, which, of course, is in the eye of the beholder. This article originally appeared in the Home Waters Sections of the February issue.